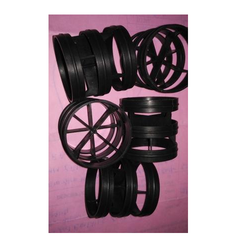 We are a manufacturer, supplier, and exporter of Bio Tower Media ALSO KNOWN AA PALL RING..
We bring forth for our clients a range of PP Pall Rings. These products are highly suitable for the low-pressure drop as well as high capacity applications. Our products facilitate a high degree of randomness and consist ratio of blocked as well as free passages which are independent of orientation. The in the large surface area to volume ratio enhances the rate of the liquid effective surface in order improve mass transfer. 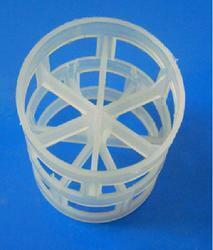 We are manufacting, supplying of Plastic Pall Ring for bio tower to our client. 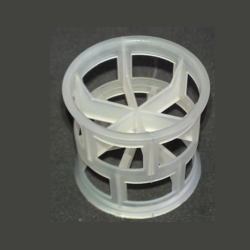 We bring forth for our clients a range of Tower Packing. These products are highly suitable for the low-pressure drop as well as high capacity applications. Our products facilitate a high degree of randomness and consist ratio of blocked as well as free passages which are independent of orientation. The in the large surface area to volume ratio enhances the rate of the liquid effective surface in order improve mass transfer.